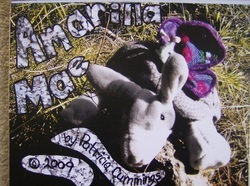 Patricia Cummings, Art Educator of the year for Indiana 2012, has written and illustrated 10 children's picture books that are "almost true" stories. The charming stories are fun to read aloud and deal with the quirky situations children encounter in their childhoods. This is , a story about a little boy who finds great wisdom from Grammy who has lived a long time and knows many things. It is hard to grow up and meet challenges, sometimes. 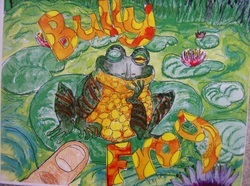 But in this story, Grammy encourages her grandson to deal with bullies in a new way. Set on location at Tex and Josie's Circle J ranch in Texas, Amarilla Mae, a very shy armadillo, has trouble coming out of her shell. By chance, she meets Wiley, who helps Amarilla discover herself in a surprising way. Patricia's book The True Story of Skippity Do Dah frolics through its pages about a sweet puppy who bravely overcomes his biggest fear in a funny way.